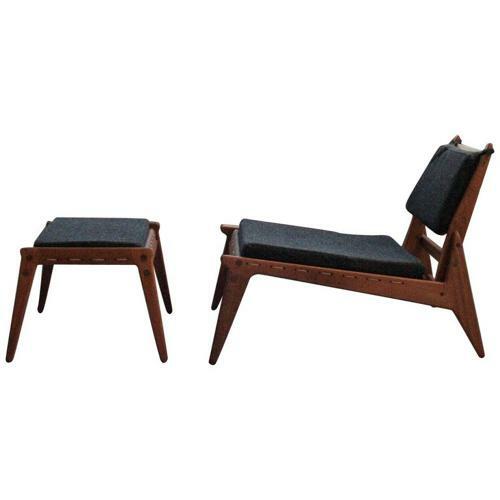 Chic lounge chair with ottoman, made in Germany or Sweden in circa 1950. Very good condition, frame made of oak, cushions were newly reupholstered with a high quality fabric. H 24.81 in. x W 23.63 in. x D 32.68 in.